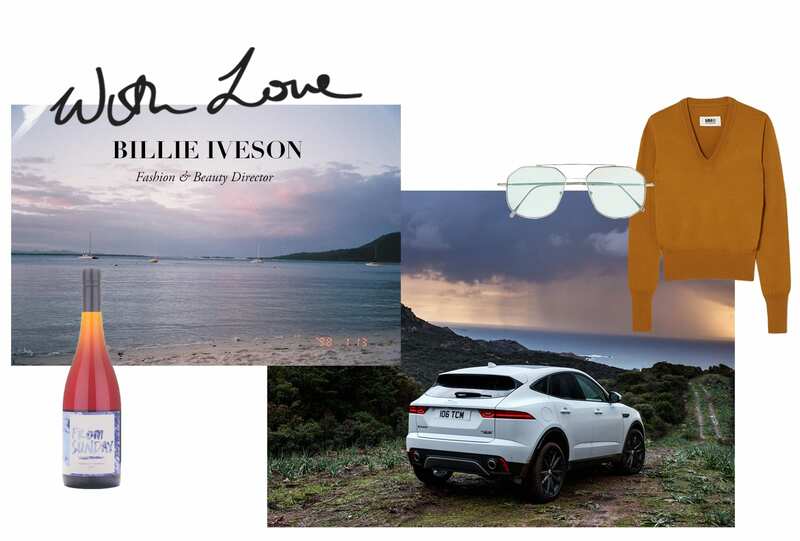 1/4 From left: PHOTOGRAPHY Billie Iveson; FROM SUNDAY Nebbiolo; JAGUAR E-Pace; ILLESTEVA sunglasses; MM6 MAISON MARGIELA jumper. Take us there. 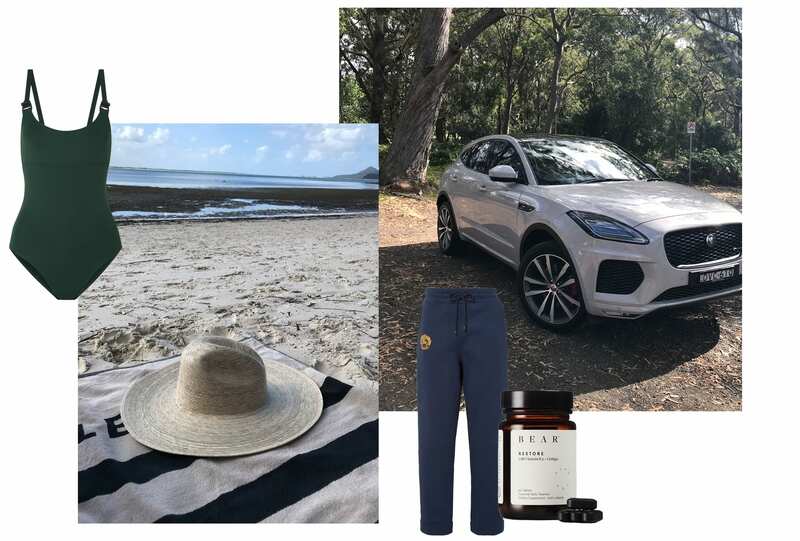 Fashion & Beauty Director Billie Iveson ventures north from Sydney to the coast of Anna Bay and Nelson Bay for the ultimate wind down weekend. The Jaguar E-PACE is the perfect compact SUV for the drive. Not obnoxiously large but great for a road trip and the sunroof lets the rays come in when the sun is setting. 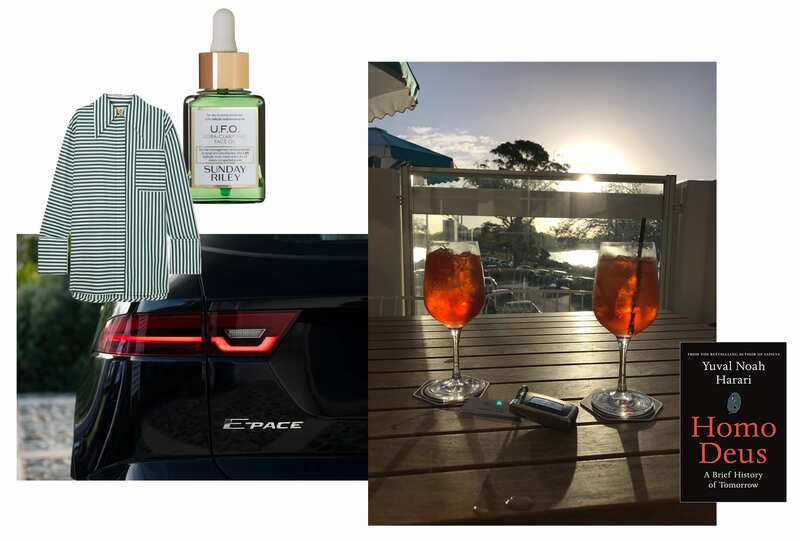 In sleepy seaside towns, getting an Airbnb for the number of guests you need is the perfect option, otherwise the Shoal Bay Country Club offers some accommodation if your road trip is more of a last minute affair. 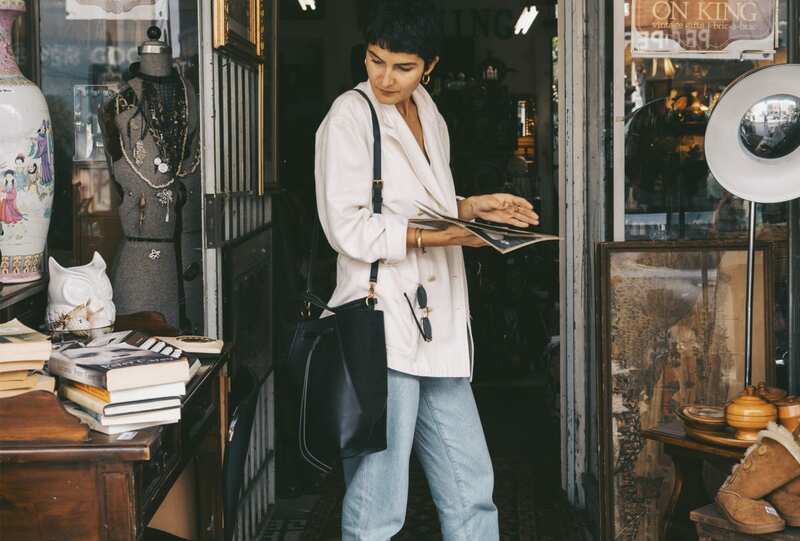 With limited dining spots in the area your best bet is BYO food – there’s nothing better than a dinner party with your nearest and dearest. A coastal retreat doesn’t call for much except loungewear, swimwear if the sun is shining and books (I’m currently reading Homo Deus by Yuval Noah Harari). I recommend bringing provisions for cheese plates, wine and slow cooking. A large DRNKS order before leaving is a must. 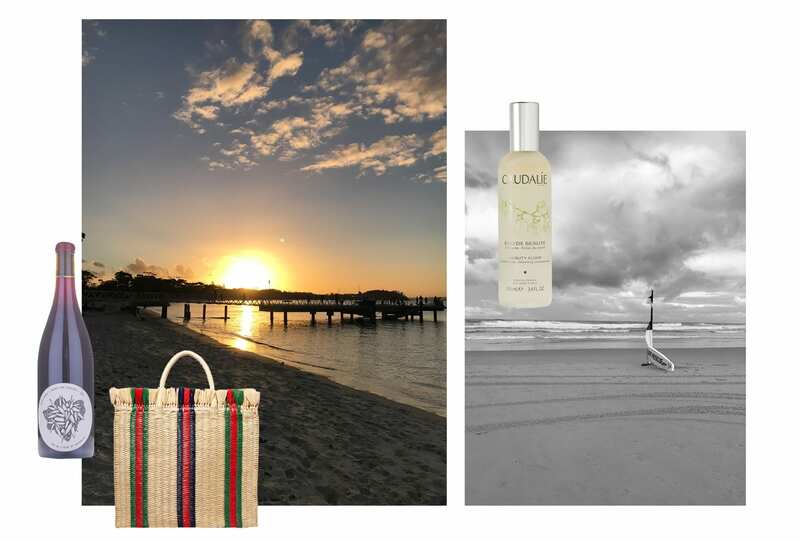 Pay a visit to the renovated Shoal Bay Country Club for Aperol Spritz’s overlooking the water, or take a trip to dog-friendly Birubi beach. Walk along the dunes at Anna Bay – water and sand as far as the eye can see.